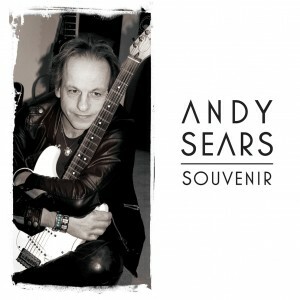 Andy’s first solo tracks released to coincide with his 2011 European tour. A limited edition CD of 7 songs and 3 bonus videos, with detailed sleevenotes. All instruments and vocals: Andy Sears. Additional keyboard programming: Dean Baker. All tracks written and arranged by Andy Sears – except This City, First New Day & The Craft: re-written by Andy Sears based on original tracks by Twelfth Night. First New Day: Filmed at the Montgomery Hall, Wath-upon-Dearne, Yorkshire, May 2010. Images & Interviews: Filmed at the Night of the Prog, Loreley, Germany, Sep 2010. Live Loreley footage produced & directed by Antony Meadley (CASA Films) and David Read. First New Day is also available on the CD & DVD release – ‘MMX: Twelfth Night Live’. Andy Sears 2011: “I hadn’t planned on releasing anything as yet, so this does not constitute an official ‘album release’, being mainly a collection of demos and ideas I have been coaxed into bringing to light! Apart from the title track, it is highly improbable that any of these themes will form part of The Dragon Inside, my album currently in progress. If any do, they will have changed considerably, as I am a great believer in rewriting things until they feel ‘right’. I have been moving back and forth across ‘La Mancha’ these past years, and consequently have laid down the instrumental tracks myself (my sincere apologies to real guitarists, bassists, drummers, and keyboard players!) These demos have been recorded in various attics, basements, and bedrooms in Madrid, Barcelona, London, Stockport and Macclesfield.